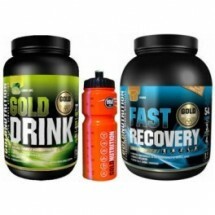 PACKS OFERTA ESPECIAL: FAST RECOVERY+GOLD DRINK O FAST RECOVERY+GOLD DRINK PREMIUM. IMPORTANTE: NO APLICABLE NINGÚN CUPÓN DE DESCUENTO A LOS PACKS, YA QUE YA TIENEN DESCUENTO APLICADO. 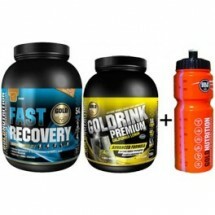 Compuesto Por: Gold Nutrition Fast Recovery 1 kg. Gold Nutrition Gold Drink Premium 750 gr. Gold Nutrition Bidón Naranja 800 ml.